Creating presentable product mockups for showcases, portfolios or clients can often be as time consuming as creating the original design. The one undeniable fact about this process is that without product mockups you risk losing a client or having your entire portfolio look consistently two-dimensional. Enter PSD Mock-up templates, pre-recorded templates that convert your flat designs into glossy product shots to elevate your presentation above your competition. Context is everything in presentation, and PSD Mock-up templates offer you the opportunity to present your mobile app designs on glossy smartphones, your soda label designs on aluminium cans, your special offers on brochures and even boutique shopping branded bags to name a few. 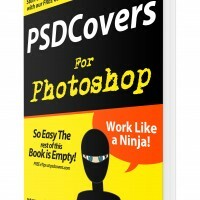 PSDCovers.com, a great resource for royalty free PSD mock-up templates, currently has over 200+ Photoshop Cover Action Product Shot Mockup Templates that you can download for free 24 hours a day. PSDCovers offers exclusive Photoshop Actions for free to everyone. 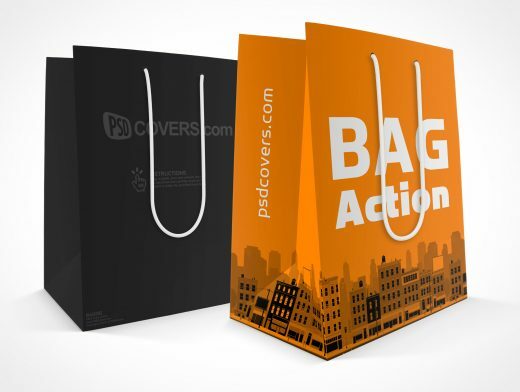 Using these Actions, designers can have their 2D designs applied to very high resolution product mock-ups across a variety of product packaging such as bags, cans, books, cartons, smartphones, monitors, magazines, CD’s, DVD’s, BluRay’s, flyers, brochures and a whole range of other categories. A key feature that is unique to PSDCovers.com is that all their Actions come in multiple angles so you can choose which mockup best suits your needs. The mockups are all created at common angles making it possible for designers to mix and match products together to create unique compositions so designs stand out even if an entire design class is using the same Actions.